Veloxa Chewable Tablets are a newly formulated multiwormer for dogs. 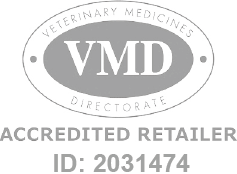 Veloxa Chewable Tablets for Dogs is a Prescription Only Veterinary Medicine and by law requires a prescription from your vet. Veloxa Chewable Tablets are a newly formulated multiwormer for dogs. Worms are a common and quite unpleasant occurrence but are not something that should be ignored. Veloxa tablets are flavoured and chewable making them highly palatable for your dog. Given as directed, the active ingredients in Veloxa, Febantel and Pyrantel, treat for the most commonly contracted worms: roundworms and tapeworms. Veloxa Chewable Tablets for Dogs are manufactured by Merial and are developed specifically for use in dogs. As such, they should never be used to treat other animals. Each tablet treats up to 10kg bodyweight. Priced per tablet.